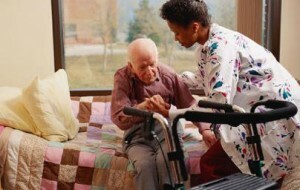 In 2011, Home health Care has more and more become an alternative choice to assisted living or nursing home care. Most people feel that if they require any needed help with personal needs, that it be done in their home with home rather than in a nursing facility or hospital. Most people don’t think ahead and count on Medicare or Medicaid. Unfortunately, Medicare and/or Medicaid will provide their home health needs intermittenly but that there should have been another source for home health care in place, such as Long Term Care Insurance, to financially help with the duration of care necessary. The nursing home, hospital, or assisted living facility just isn’t the only reasonable place available to convalesce or receive quality care. It used to be more common for a family to pull together and do whatever was needed for their parents. The nursing home option is still a choice but with the availability of excellent home health care assistance, the choice to go home is much more attractive once the doctor permits. If a parent can afford it, the preference is a familiar environment (at home) and still get the skilled care that is needed. Many studies have demonstrated that home health care costs significantly less than assisted living facilities or lengthy hospital admittance. Medicare and/or Medicaid funds are limited for home health care as well as for assisted living or the hospital alternative. When funds are available, it is just for part-time or temporary care and not normally for a long term illness. If one believes that the ideal situation following a disability or long term illness, would be to be cared for at home than it should be a top priority to purchase affordable, long term care insurance. Long term care insurance will not only provide home health care for medical needs but also for personal assistance needs and companionship. When shopping for this type of coverage it is important that the policy is comprehensive and that all the benefits are known up front. AT HOME SENIOR CARE will be more than happy to offer any insights into the process of purchasing this type of policy from the point of view of a home health care provider. It would be our pleasure to suggest several quality insurance companies that have proven cooperative and transparent in their dealings with our firm over the years.